Youth tobacco use and vaping is a persistent problem in Clinton County, but policy changes and local advocacy can go a long way. That message was at the heart of a March 13 community forum on tobacco use and vaping hosted by the Clinton County Tobacco Use Reduction Task Force, which includes the North Country Healthy Heart Network, Adirondack Health Institute, Champlain Valley Family Services, the Clinton County Health Department, and UVHN-CVPH. 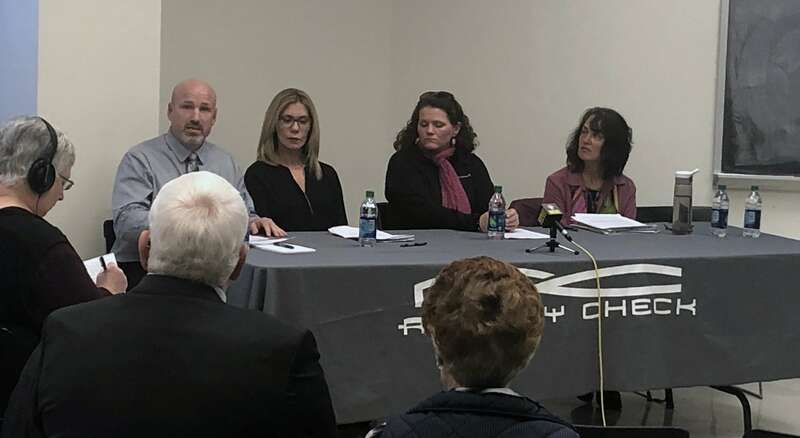 The forum included remarks from county public health officials, who noted that youth tobacco use and vaping is a “persistent problem in the county,” citing a recent Surgeon General’s declaration of youth vaping as a national epidemic. Presentations also featured “Nothing New Under the Sun,” a presentation typically used in schools to convey that the current youth population is essentially being used as the new “guinea pig” generation for companies like JUUL. A panel consisting of an AHI representative, a certified tobacco treatment specialist, a concerned parent from the community who has dealt with vaping with her own child, and a registered nurse who also has a background in advocacy and policy work highlighted regional and local stats, as well as issues surrounding brain development as it relates to nicotine use and overuse. The panel also spoke to the accessibility of electronic nicotine delivery systems products via the internet and Visa/Mastercard gift cards. Also speaking was Dr. Mary Canales, a public health nurse with more than 20 years experience engaged in public health research with under-served populations. She has taught health policy to undergraduate and graduate nursing students during her teaching career. Currently Dr. Canales teaches research methods to graduate family nurse practitioner students enrolled in Simmons University’s online nursing program. Two Clinton County legislators were present, as well as many members of the community, including some youth members of Reality Check Clinton County. The forum was meant to explore ways to advocate for local level policy changes and implementation and enforcement to ensure that even if T21 is passed at the state level, the intended effects are actually felt in local communities. To learn more about how the Heart Network works with communities to increase provider identification and treatment of nicotine addiction in both medical and behavioral health settings, contact Danyelle Jones at djones@heartnetwork.org.